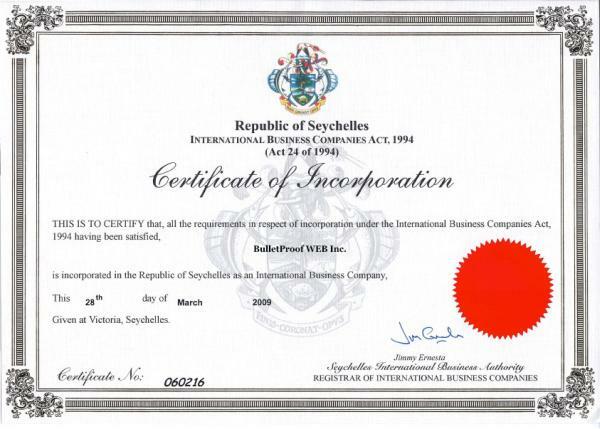 Our company has been in business since 2009, when it was registered in an offshore zone of the Seychelles Islands. Most of our work is focused on providing reliable bulletproof hosting with protection from any encroachment, maintaining our clients’ rights to full freedom of information and independence. We distribute information on trustworthy platforms in Russia, Ukraine, EU countries and China. There is plenty of room for another project on the internet – and we are prepared to provide you with it. We have always carefully protected clients’ websites from all attacks and claims. Our company policy, combined with experience, technical professionalism and time-tested arrangements with data centers guarantee that all data on our servers is fully protected from intervention by authorities, bothersome right holders, and organizations like Spamhaus. Our defining trait is our willingness to provide services which are not easily blocked by third parties. Unlike ordinary hosts, which terminate services upon receiving any sort of claim against their client, we do not let our customers be bullied. A wide variety of platforms and internal arrangements allow us to prevent attempts by ill-wishers to block your projects. Our team has been working in the sphere of bulletproof hosting for over five years. Throughout this period, we’ve dealt with the toughest problems, provided services to the most diverse clients, cooperated with the most reliable partners and now wish to attain even more experience with your help. Share your projects with us, and we will provide ideal conditions for their existence, given our skill in the technical and legal field. The accumulated experience and professionalism of our colleagues allows us to maintain uptime indicators of up to 100%, on par with “white hosting”. This is only made easier by our collaboration with popular hardware brands like Cisco™, Juniper®, HP®, Supermicro®, DELL™, Intel®, Emerson™, and APC®. We don’t need to know who you are, because we don’t enter into contracts or store any of our clients’ personal information. Payment can be done with such anonymous systems as Bitcoin, Paymeer by Webmoney as well as payment terminals. They are few, but they do exist. We restrict ourselves within the confines of professional ethics, general human morality, and the law of countries our equipment is stationed in.